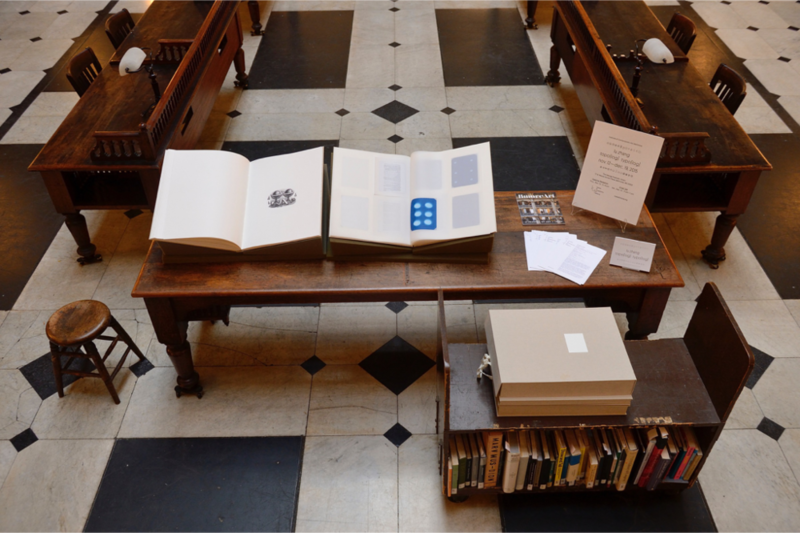 2015 / series of 6 books / materials include: linen, xylene monoprints, cyanotypes, digital archival prints, and found materials / each book measures 20" X 15"
topo(log) typo(log) is a series of six books documenting my yearlong studio residency at the George Peabody Library. 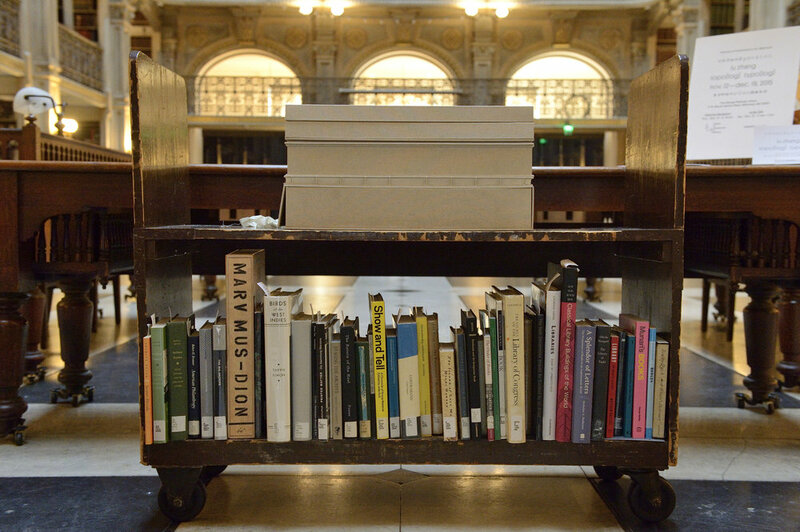 Emulating the Dewey Decimal system of relative location, each book embodies a level of the library: General Reference; Biography; History; Language, Literature, and Translation; Science and Art; Bibliography and Books about Books. 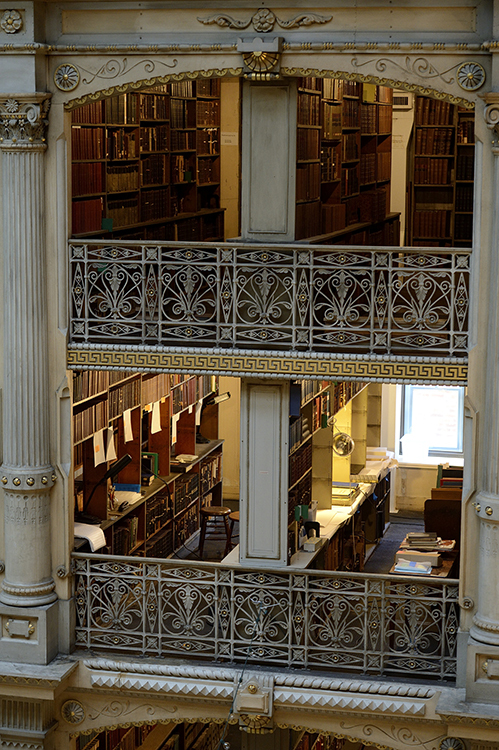 Readers are invited to navigate through the pages as they would move through the cast-iron stacks and narrow passageways of the library’s interior. Employing tasks common to a library of choosing, collecting, sorting, recording, transferring, scanning, and photocopying, I reinterpret the building’s contents to create an associative and accumulative narrative that is specific yet arbitrary, expansive yet fragmentary. Gathering imagery from a wide range of sources including 18th century encyclopedias, architectural protrusions, guided tours, insurance maps, office supplies, renovation remains, and an essay on clouds, I investigate the nature of work, the limitations of collective knowledge, and the poetics of place. The six volumes have been acquired and cataloged by the George Peabody Library, becoming a part of the permanent collection. topo(log) typo(log) is made possible in part by a Rubys Artist Project Grant from the Greater Baltimore Cultural Alliance, books bound by Almanac Industries.